A fruit basket or vegetable basket with a natural root-grip look makes the added content even more intense. 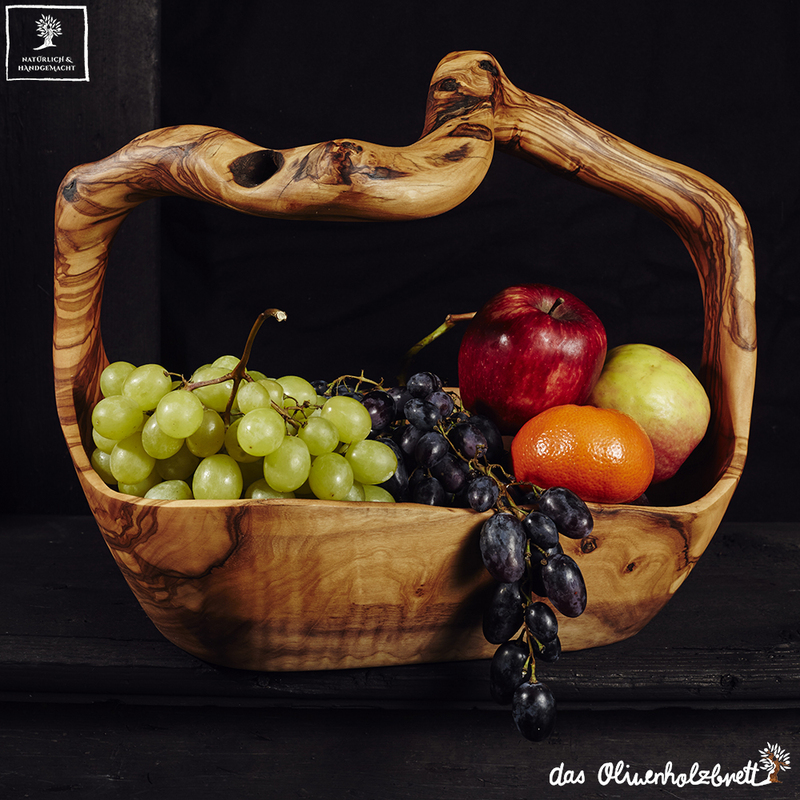 If, for example, you have your own garden, the recipient will be delighted to have a lovingly self-drawn fruit, vegetable or herbage, which can be represented in our different basket models made of a massive piece of olive wood. A colorful gift loop finally gives your hosts color and joy for their own home. Their presents are neither off the shelf, nor dull dust traps, because a fruit or vegetable basket is not only a useful aid for later use in the kitchen day but also highly decorative. The individual grain, the natural curving root grip and the warm olive wood color match either as a living contrast to a high-tech modern kitchen furniture or as a fitting addition to a rustic-Mediterranean kitchen. So you can not go wrong, because you give a hearty souvenir from nature, practical and personal appreciation. Let yourself be inspired and have a look at all our varied olive wood gift ideas at www.olivewood.us. Of course, we also advise you individually on the occasion and the person to be presented. Our olive wood team will be happy to share your own ideas, as we also have a lot of fun in decorating, designing and giving away our natural range. We wish you cordial and touching encounters with your family members, friends, acquaintances and business partners.